I cannot believe we are over halfway through June and what feels like the summer as well. But with the end of June comes the arrival of one of my newest favorite holidays, Independence Day. A time spent with family or friends around a grill filled with ribs and picnic tables covered in various pasta salads and desserts. This year I’m especially excited as I will be spending the week in Mexico. Since I won’t be celebrating USA style I decided share with you 7 easy 4th of July outfits that you can wear using what you already own. 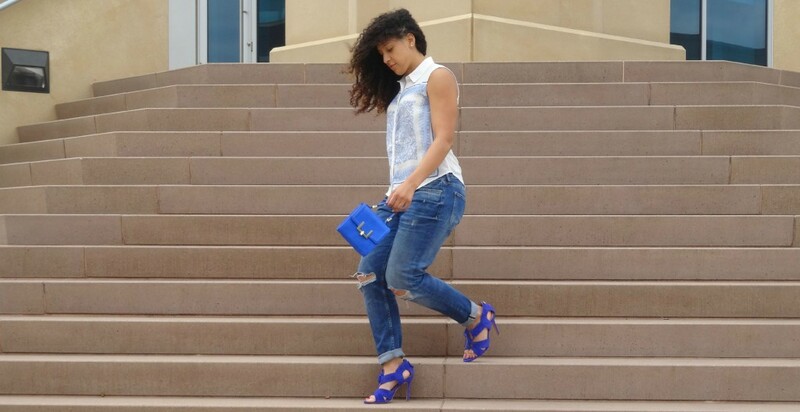 So keep scrolling to for some outfit inspiration! Be sure to comment below and tell me which look is your favorite. 1. 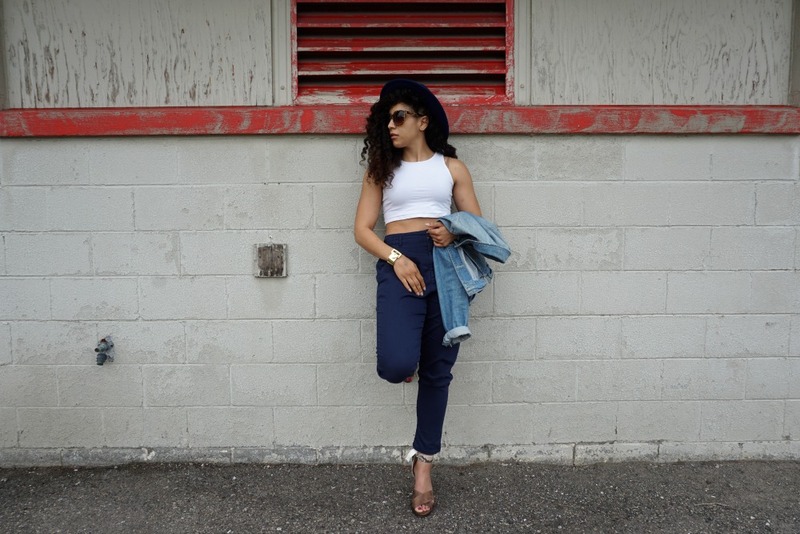 Show your spirit this independence day in style by rocking a white crop top and blue pants, bonus if you have a matching hat you can wear! 2. Got a work event to attend this 4th of July? Reach for a crisp button up and pair with some fitted high waist jeans and comfy heels. 3. 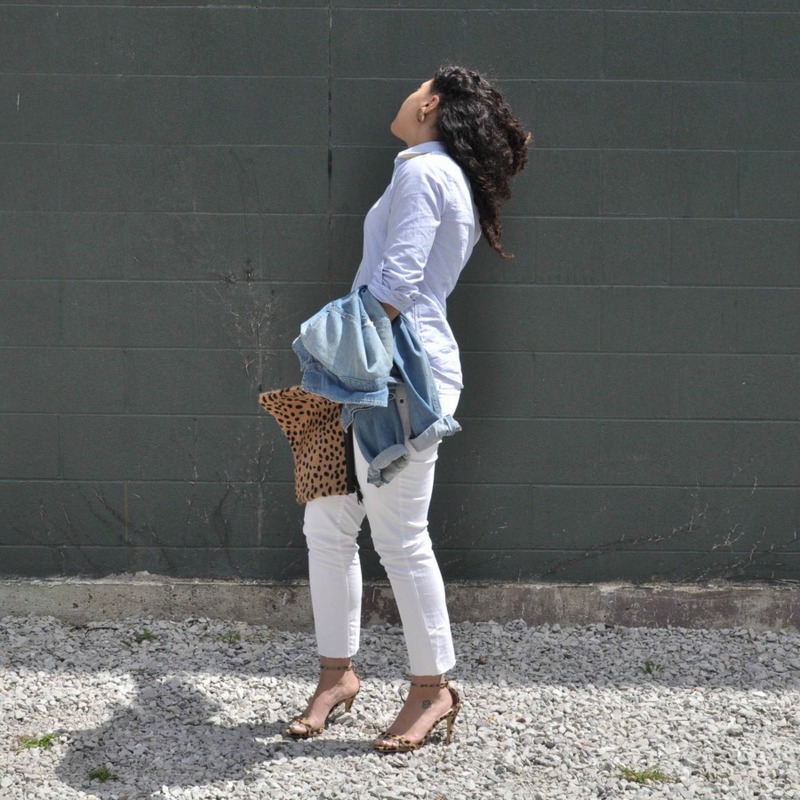 For a more casual gathering try rocking head to toe denim and add pops of white or red. 4. 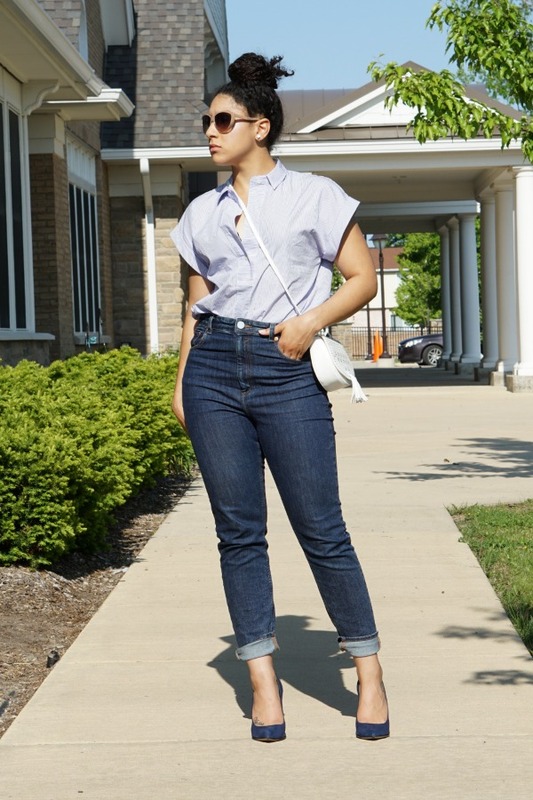 Dress up a pair of boyfriend jeans with a chic button up and summer sandals. 5. For a more relaxed try a pajama style top with cut offs. 6. Rock a striped button up and white jeans combo with the all American classic, a denim jacket. .
7. You can’t go wrong with a flattering jumpsuit, obviously one in red, white or blue will do! Thanks Jacqui, it’s definitely one of my lesser worn yet favorite pieces. Love all of these denim looks! My favorite! Glad you enjoyed the looks Michelle!